You are here: Home / Outdoor Program / Going Camping? Go Light! Going camping? Go light! 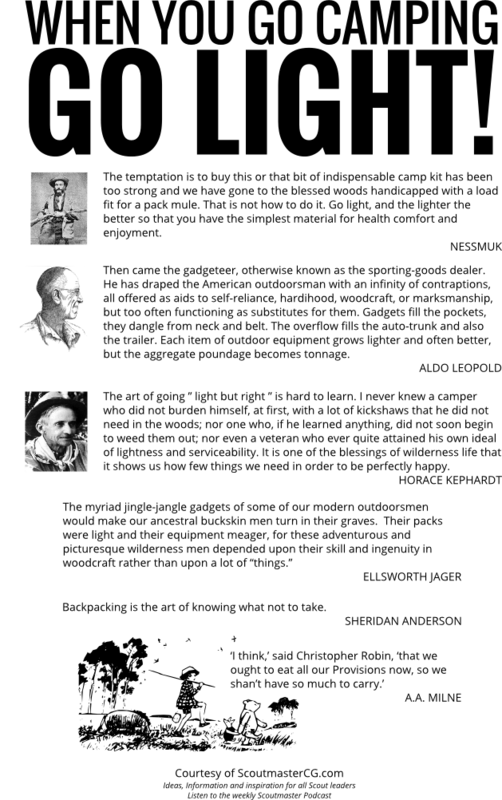 Here’s an infographic of the collective wisdom of a number of my favorite authors, Nessmuk, Aldo Leopold, Horace Kephardt, Ellsworth Jaeger and more. Resolution for this week — use “kickshaws” in a conversation.